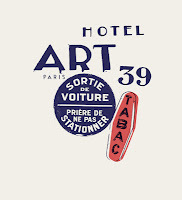 A year ago at one of our favorite Paris brocantes, Adam and I came across a large cache of beautiful French ephemera consisting of the business papers of one Monsieur Ragaru, who lived and worked in Paris as an antique furniture dealer about 100 years ago. 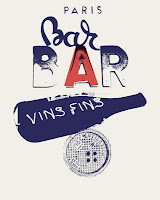 This year upon our return to Paris, we decided to track down the location of Mr. Ragaru's former shop, situated not far from the red light district of Pigalle and the (in)famous Moulin Rouge. We not only found the location of Mr. Ragaru's former shop, but we were fortunate to also make the acquaintance of the owner of a wonderfully funky and mod shop located next door. 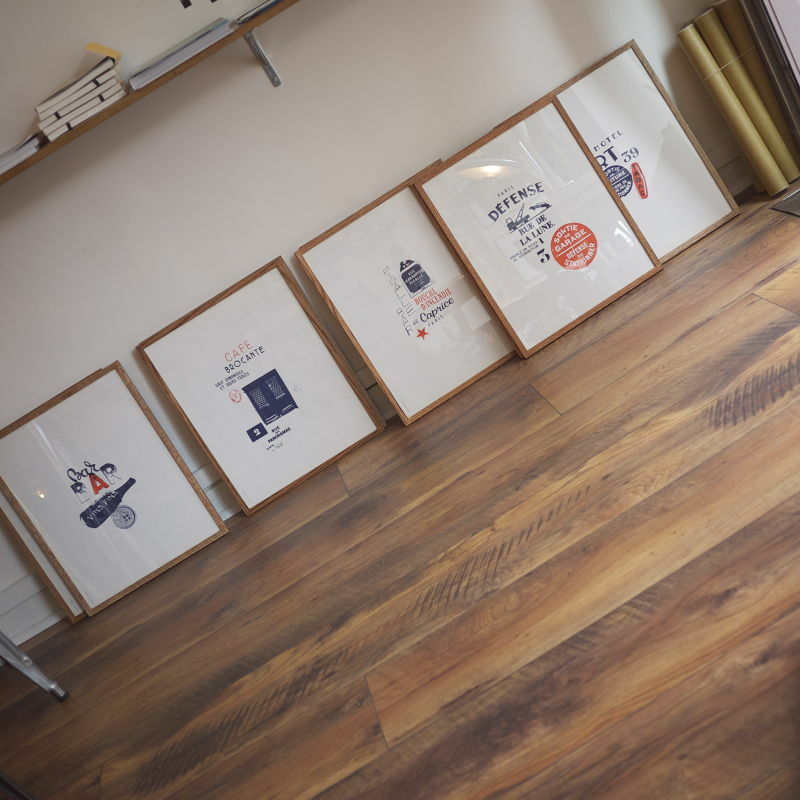 We brought back the most wonderful set of six prints, the original work of Parisian graphic designer Emmanuel Touche, who happens to be the shop's brother. We now have these prints in stock and you can purchase them at our upcoming "Merriment Market!" 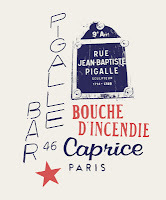 Each print features unique images evoking mid-century Paris and Parisian life. They are simply beautiful. 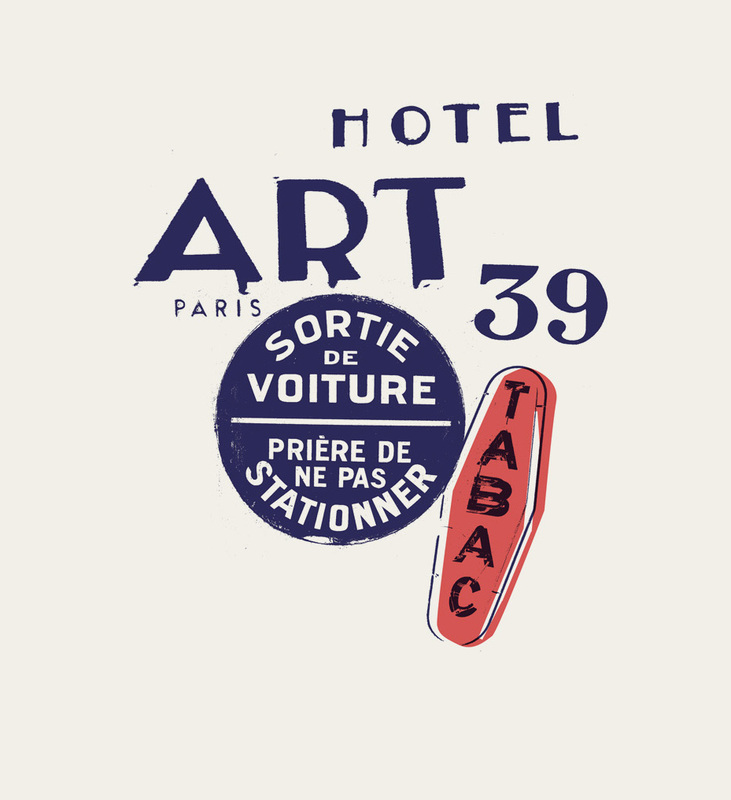 Living in the 9th arrondissement of Paris, Emmanuel Touche has been a graphic designer for the last 20 years and has been playing with images and typography since he was a kid. 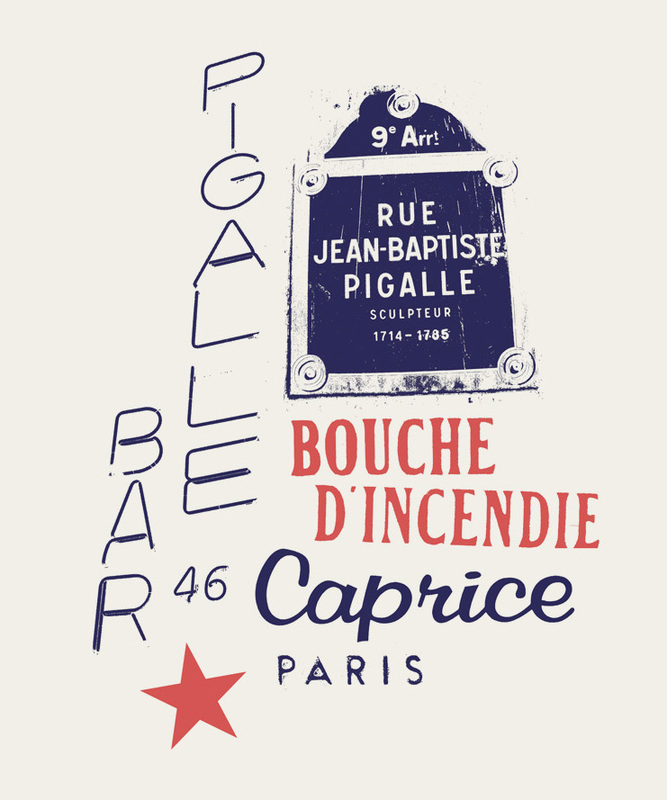 As a Parisian, he wanted to pay tribute to his city with those prints but without using any of the classic Parisian symbols. He went for a photo trip in the streets of Paris, shooting details, neon signs, street names, road signs, etc. and composed each print using those symbols. We are honored to carry his work in our shop!